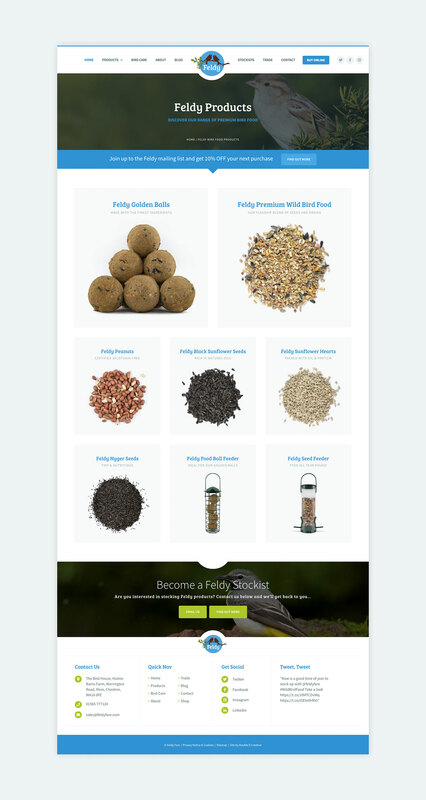 Feldy Fare produces premium, ethically sourced and nutritious wild bird food products. Their mission is to help ensure that the wild birds we all love to watch and enjoy are always correctly fed and nourished. 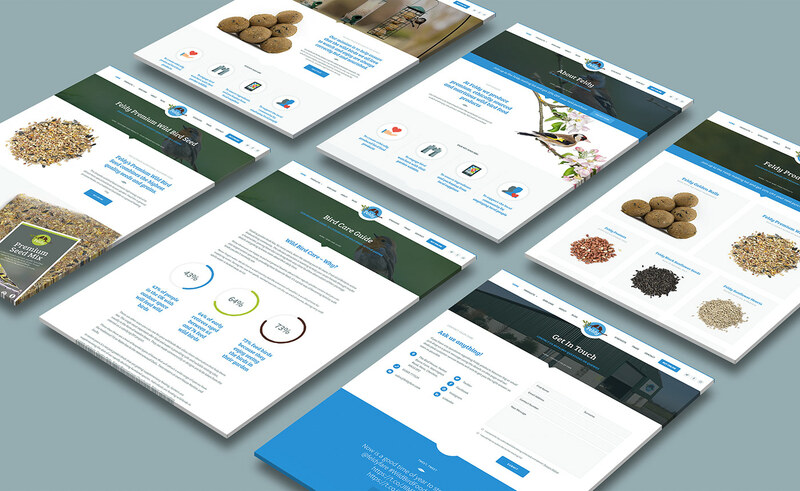 We sat down with the client to ascertain what they wanted from a new website. 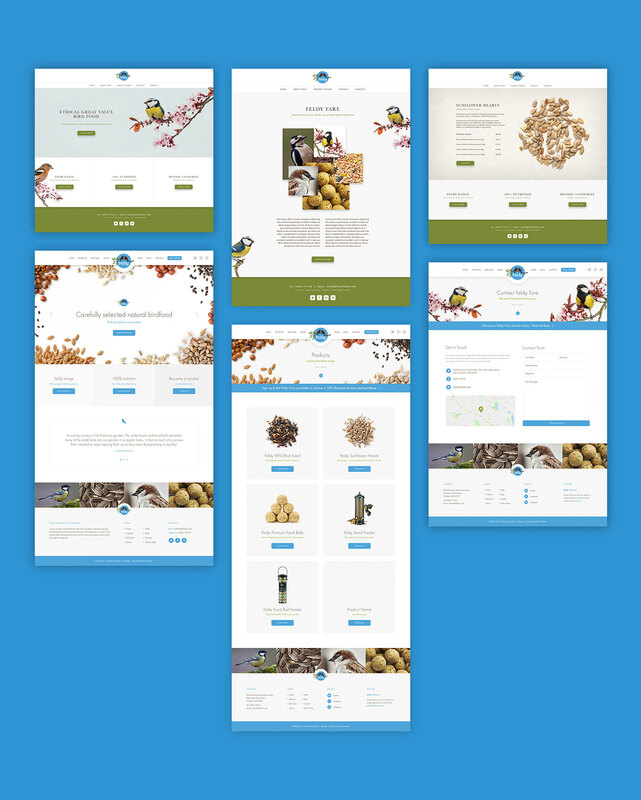 As well as using the site to convey their company ethos and showcase their products, they wanted to use it to sell them. After discussions, we decided that rather than implement a full WooCommerce solution, we would adapt and work with Gravity Forms and it’s PayPal payments to create a simple ‘shop’ form. 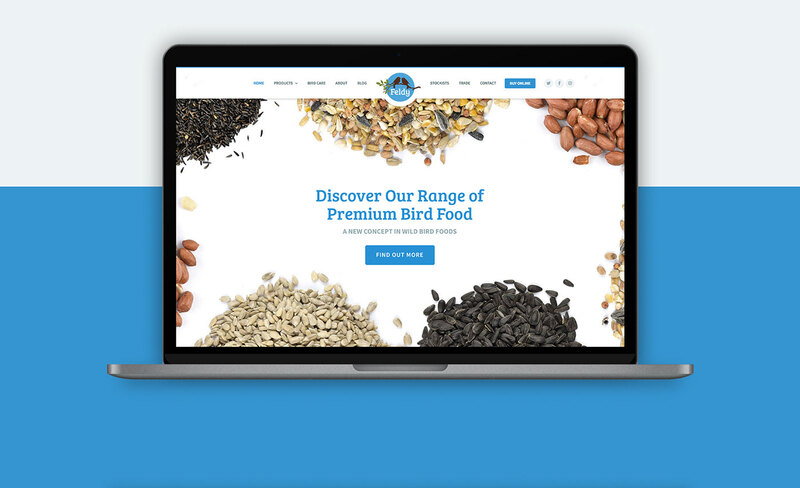 With Feldy’s range consisting of premium, top-end products with a focus on quality ingredients, we made sure this was reflected in the website’s design. In order to achieve the look and feel we were after, we determined that the product photography should all be re-shot to give us the best quality, uniform images to work with. We were also fortunate that a member of Feldy’s team had taken some stunning photos and videos of wild birds to complement the product shots, resulting in a finished product that emphasised Feldy’s quality. The site is built with the Avada theme. We used their ‘Fusion Builder’ to enable us to create a bespoke footer. We began by creating a standalone page for the footer, then using the ‘Input Pages’ plugin to insert it into a footer widget. This enabled us to utilise Avada’s pre-built containers and columns without being restricted by a standard footer/widget setup. Doing this meant we could create a separate ‘display’ and ‘mobile’ footer within the same page, thus determining how this was displayed to the user based on screen size and media queries. 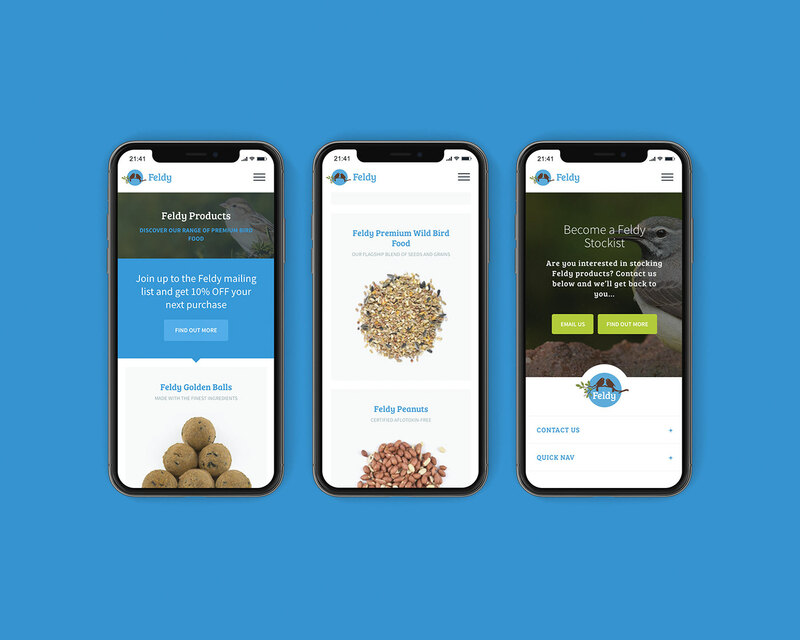 Alongside the design and build of the website, we have also supported Feldy with the setup of their social media accounts, as well as advising them on how to drive potential customers and bird enthusiasts to the site. 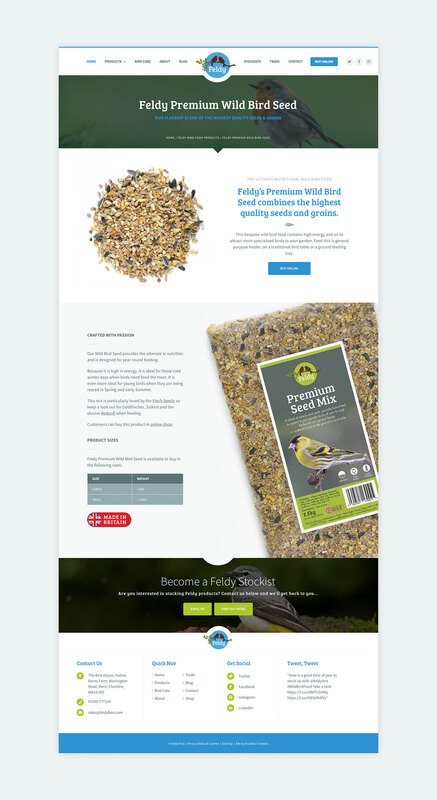 Website and branding for Feldy Fare an online UK Bird Seed retailer.